Apple iOS 4.3 upgrade for iPhone/iPad available now | What Hi-Fi? Apple has this evening released its iOS 4.3 upgrade, which was originally expected this Friday, when the iPad 2 goes on sale in the US (we have to wait until March 25th for iPad 2 in the UK). It will also allow video shot on an iPhone to be streamed directly to Apple TV, which isn't currently possible on iOS 4.2. Owners of iPhone 4s can use their mobiles as personal hotspots, turning the phone into into a wi-fi access point for any wi-fi device. 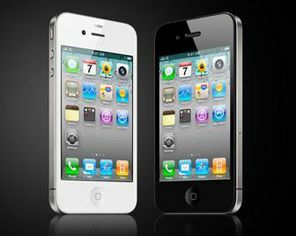 The upgrade will be a free download for all iPads, iPhone 4, iPhone 3G S and the third- and fourth-generation iPod touch. At the same time, iTunes has been upgraded to version 10.2.1, and there's a software upgrade for Apple TV 2.